AEON Mall had opened as their largest mall in Makuhari, Chiba. 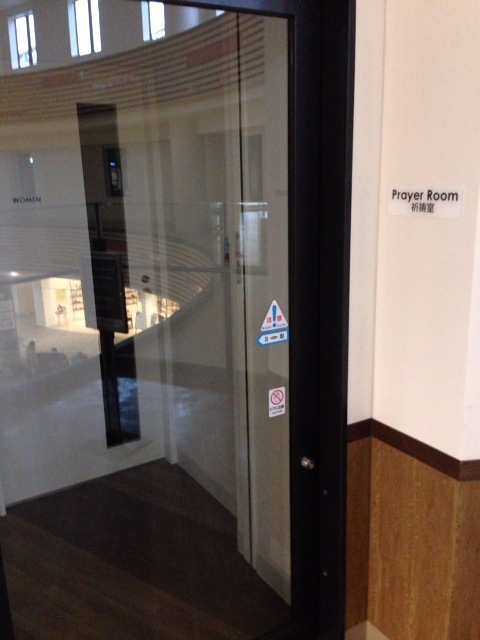 The good news is that they have provided praying place inside mall. 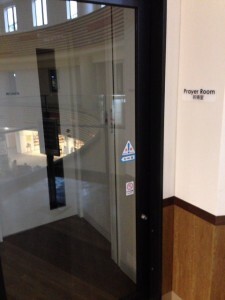 “Prayer Room” is on the fourth floor, in front of “Grand terrace (a rooftop observation platform) “.You can make use of the facilities at any time during business hours. There is an intercom by the door that connects to the Central Information Counter. Feel free to call and ask the staff to unlock remotely. “Prayer Room” is divided into men’s room and women’s room, each room has a washstand and Wudu the Islamic procedure for washing parts of the body using water, typically in preparation for formal prayers.